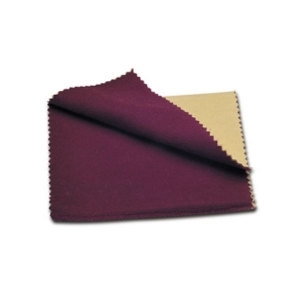 Our rouge impregnated polishing cloth is by Fabulustre. It is a double cloth, one side cleans while the other side polishes. The cleaning side is impregnated with rouge, while the other is untreated for final polishing. This cloth measures 9" x 11".